// How did your early life affect your career choice in photography? // I wasn’t academic at school. But I’m from the era when photography was taught in colleges as a technical subject and involved subjects like chemistry, mathematics and German, and that didn’t appeal to me. I became interested in colour photography as an art form in the early ‘80s, while living in New York, looking at the work of Ernst Haas amongst others. And I had a friend, Frank, who travelled widely in Africa and Asia taking the most amazing colour slides. I wanted to do something like that but I didn’t know how to go about it. I worked in IT as a computer programmer and photography was just a hobby then. Many years later, I was easing my way out of that career by working part-time and I started doing courses in creative writing, photography and Photoshop. Photography pretty quickly became my main interest. // Who are your influences both inside and outside of photography? // I am influenced by writers, musicians and photographers. In recent years, Alec Soth, the American photographer, has been a big influence. I like the way he combines portraits, landscapes and incidental pictures to tell a story. Always keeping it simple. I’m a fan of the writer Richard Ford and I also like Katy Grannan’s portrait series Model America. I’m not a portrait photographer, as such, but I once overheard someone at an exhibition say, “I like photographs with people in them,” and I would agree with that. My teachers, Paul Seawright and Donovan Wylie, were huge influences too. I listen to all types of music, from traditional to jazz. Elvis Costello’s approach of moving from project to project, always trying something new, was very inspiring. But I also like Donny McCaslin, whose band played on David Bowie’s final album. He basically plays ‘70s jazz-fusion but transforms it into a vibrant contemporary sound. // Tell us about the project Into the Sea and what inspired it? 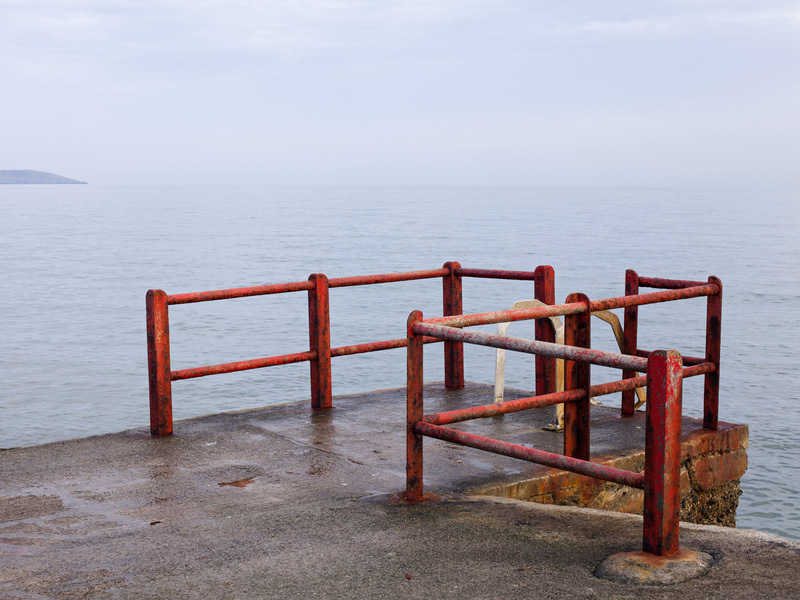 // The first photographic project I attempted, back in 2009/2010, was based around a group of swimmers who met at the Vico bathing spot every morning, early. I swam there myself and I knew the people. However, I was hesitant about photographing individuals and the images I ended up with were not what I had intended to make. So I wanted to go back to that project and do it properly. In the meantime, my own routine had changed and I got to know other bathing spots around Dublin and Wicklow. The trigger for resurrecting the project was looking at John Coplan’s well-known portrait of his own back and also some other back portraits that were featured in an exhibition, called Back, in New York in 2015. I investigated these, as well as back portraits by artists such as Catherine Opie. The back has an air of mystery that is appealing. 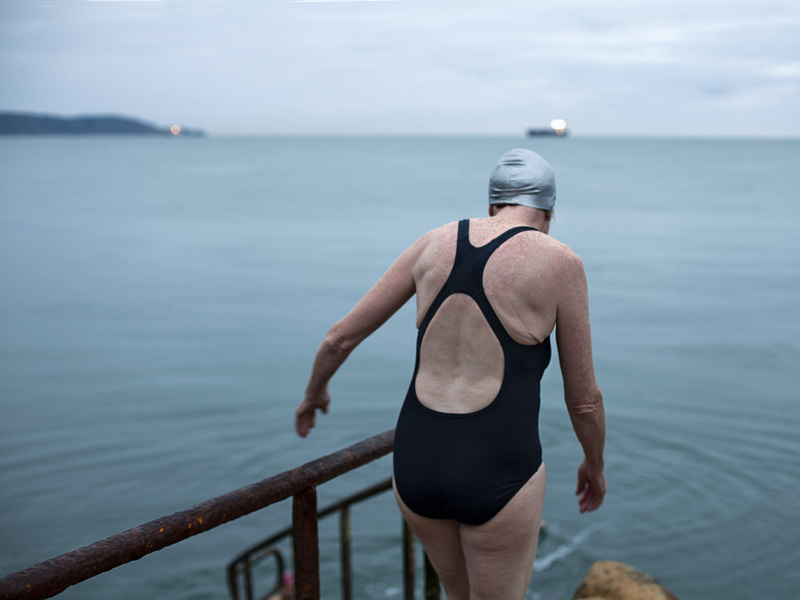 I thought to combine some back portraits with a subjective documentary look at the swimming places of Dublin. As well as being an obvious place to meet people and photograph them, or their backs, I was intrigued by the religious nature of the ritual way in which individuals attended these sites.Someone who swims at 8am daily might never meet someone else who swims at 9am at the same place. One swimmer told me that she used to go to daily Mass but now went for a swim instead. 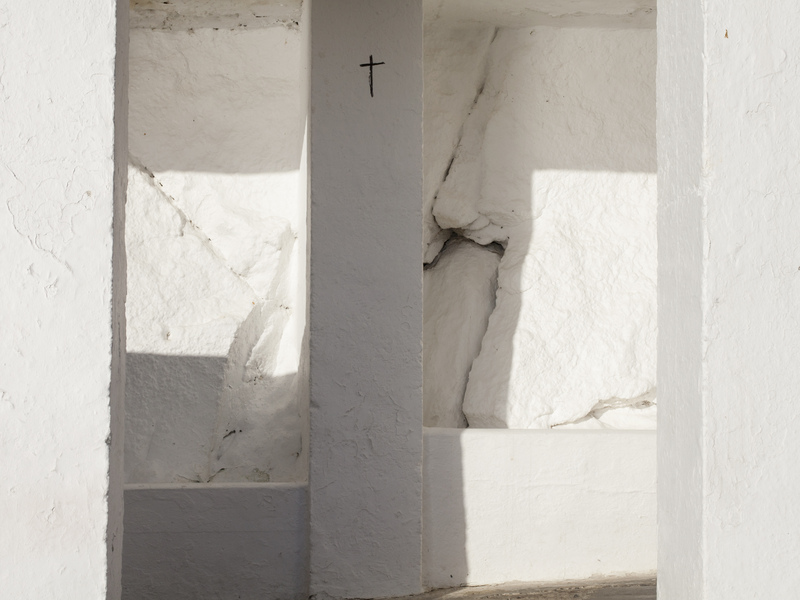 For her, it fulfilled the need she had for a daily ritual that could no longer be met by the church. The places themselves are fascinating. They may be unique. I haven’t come across anything similar in other cities. Like the community gardens that I photographed for my last project, The Grey and the Green, they represent city oases, places that people can go to to meet other people, or to be alone, pursuing their own interest, and not having to pay for the privilege. // Can you describe your process? // The process depends on the project. This is the first project I’ve shot entirely on a digital camera. I spoke with all of the subjects. This became my routine after a while. It might just be to ask, “Do you mind if I take your picture from behind as you are getting in?” I was more comfortable asking than not and I felt I got better pictures by not having to be surreptitious. My last project, The Grey and the Green, involved an elaborate process, using a medium format Mamiya 6×7 film camera, mounted on a tripod, placed on top of scaffolding erected on site with a helper, to photograph community gardens at various locations in Dublin. The Mamiya is normally a studio camera and is heavy. When I took the project to Germany and Cuba I brought a lighter Pentax 645 and a tripod. I wanted to keep using the medium format as it renders the aspect of the landscape with a truer perspective than a digital SLR. My photograph, De Courcey Square, the first garden I photographed using the scaffolding setup, won an award at the RHA annual show in 2015. So you could say the effort paid off. // Did making this project change your perspective on the subject? // You learn a lot about the subject from each project. I’m not a gardener but I was a sea swimmer, so I felt I knew a lot more about the subject this time. However, being the photographer marks you as the outsider in the group where people are involved, and you feel that. It’s not necessarily a bad thing because it forces you to think as an outsider. The reason the project failed the first time was that I was trying too hard to be in the group and not standing outside, so to speak, to be the observer. // How do you choose a project? // It takes time and ideas don’t come easy. I find that it has to come from something that’s happening in my life at the time. With the gardens project, it was the economic crash and how the gardeners were trying to make something creative with the abandoned city sites. Similarly, the bathing places are city retreats, although this time not related to the economy but perhaps to something more internal. The anguish in our lives. // What project are you working on now and what are your plans for the future? // I’m working on a collaborative project with visual artist, Melissa O’Faherty. She does abstract and figurative drawings, as well as being a painter. For this project she is drawing. The theme for the project is how our awareness is made up of our experiences and not our internal thoughts. Our perception of the world is our experience of it. This is a more conceptual idea than my usual subjective documentary approach. It’s exciting and it’s leading me at the moment to build on black and white landscape work that I made in West Cork earlier in the year. I hope to start a new solo project soon, one that might involve some travel. I find that being away from home helps towards seeing things afresh. // What advice would you give to aspiring photographers? // Go out and make the work that you want to do. Don’t wait to be inspired. You get ideas by doing. Keep it simple too. Make sure your work gets seen; submit to galleries and reputable competitions and promote your website.